Looking for a Florida native plant that will attract butterflies, birds and your neighbors’ admiration? 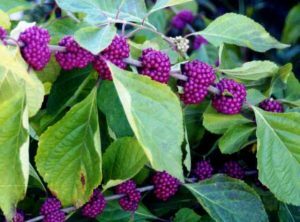 Look no further than the exquisite American Beautyberry – a cold-hardy deciduous shrub that produces a striking cluster of plump purple berries throughout Florida and the southern United States. Beautyberries look particularly charming under tall tree canopies where dappled sunlight can splash down through the leaves and make the berries almost seem to glow. You won’t find them at garden centers very often, so plan on making a few calls to order yours. ArtisTree suggests purchasing several since they look best in mass plantings (they’ll give you wonderful showing in the fall and winter). When planting, make sure you allow for plenty of space around them; their rambling branches tend to stretch on and on — anywhere from three- to eight-feet tall and wide (you can trim them, though). Space them about three to four feet apart. You’ll want to consider planting them near year-round greenery since they lose their leaves in the winter. You can even plant them in areas slow to drain after a rain shower – that’s how hardy they are. While they ARE Florida natives, American Beautyberry won’t mind if you treat them with a granular fertilizer spring, summer and fall. You’ll be treated to pretty little lavender flowers in early spring and summer, followed by brilliant berry clusters. So now the question we know you’re dying to ask: Are they edible? Yes. But they’re not very tasty, and even birds and deer tend to wait until later in the winter to snack on them. But butterflies? Yes, butterflies are always drawn to their color, and you will be, too. Contact your professional landscaper to see if the American Beautyberry is right for you. Oh, you don’t have one? 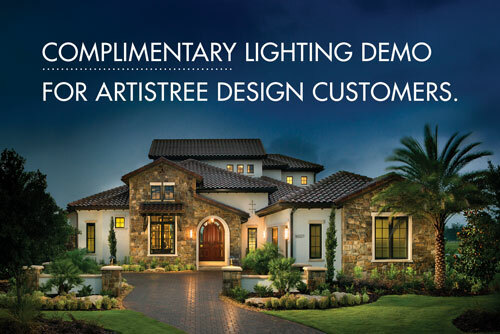 Then consider contacting ArtisTree Landscape Maintenance & Design serving Sarasota, Manatee and Charlotte counties. 941.488.8897; artistree.com. Their experts will be happy to help you out.